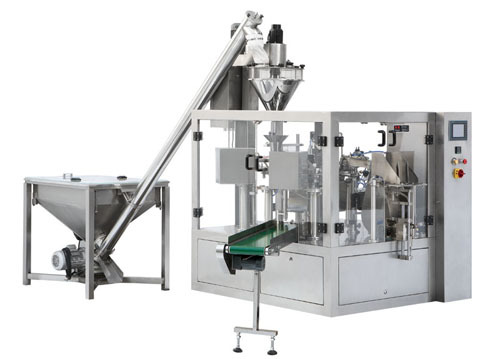 Fully automatic intermittent rotary performed bags dispensing, opening and closing machine combined with automatic auger power filler, bulk screw feeder and product bulk hopper safety guard protected for high speed and consistent production heavy duty components and parts areselected for machine durability. Hygienic construction and easy cleaning operators friendly design touchscreen control system versatile in design, easy to link up with other down stream packaging equipment such as liquid filler, power filler, multi heads weigher. Metal detector. Check weigh, case sealer etc. Powder and fine granular products such as milk powder, coffee powder, food additives, condiments, tapioca powder, coconut powder, pesticide powder, fertilizer granules etc. Bag Type All Type Of Head Sealable Performed Side Seal Bags, Fin Seal Bags, Gusted Bags, Block Bottom Bags, Zip-Lock Reclose able Bags, Stand-Up Pouch With Or Without Spouf Etc. Application Powder And Fine Granular Products Such As Milk Powder, Coffee Powder, Food Additives, Condiments, Tapioca Powder, Coconut Powder, Pesticide Powder, Fertilizer Granules Etc. 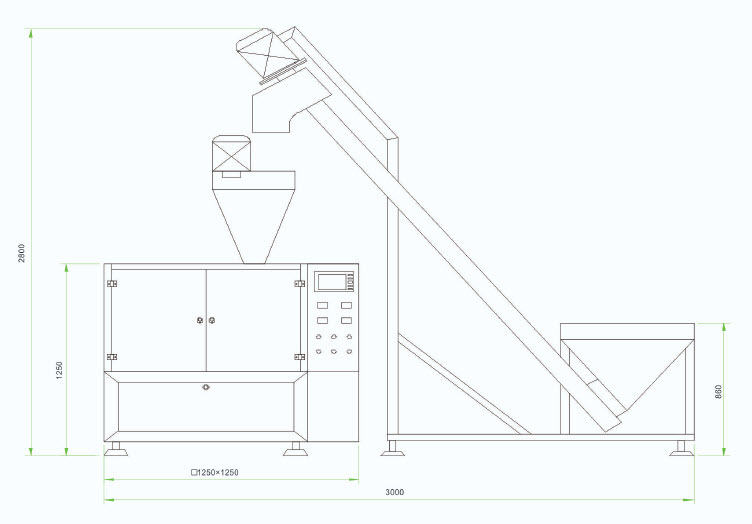 Dosing Assembly (to Select According to Individual Needs) Automatic Auger Filler, Volumetric Cups Filler Etc. © 2019. Alter Pack Canada LTD. All Rights Reserved. Designed by Art-D. .